The rise of social media has become a vital part of spreading news in an instant and even for coming together as a community to help others in difficult situations (examples of this have already been featured on TP like when Lola Aurelia Matias found her missing husband through the simple act of sharing a photo by an avid Facebook user). This, in turn, made people realize that through social networks, raising awareness regarding specific issues can easily be done with the World Wide Web as its medium. Google.org develops technologies to help address global challenges and supports innovative partners through grants, investments and in-kind resources. Google Person Finder – It helps you find individuals or groups in dire situations with the help of your local government. Flu and Dengue Trends – You can discover trends for Flu and Dengue around the world to prevent outbreaks from happening. Google Earth Engine – This is particularly useful for monitoring changes on the surface of our planet. Also located on the site are various timelapse images of what is happening around us from the deforestation of the Amazon to the growth of Las Vegas. This is where Google should be admired the most – allowing us all to use massive amounts of information which they have collected over a long period of time, for free. As the giant of search, of course it’s second nature for Google to look for people or communities that have brilliant ideas which would benefit a lot of people and support them in their research. Google.Org is already a big success but Google won't stop there. Now, they are also reaching out to any community or organization whose cause matters most to a lot of people. 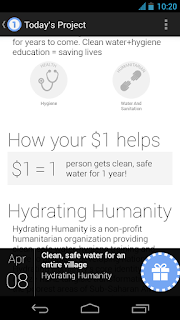 But this time Google won’t be doing it alone because they will now include anyone in this project who is willing to give a helping hand, mostly by monetary means. The project is called “One Today” – it is Google’s newest app that makes donations fun and easy for both the accepting organizations and app users alike. There is a catch though, because One Today is still in its pilot stage, it will only be available first for Android users in the U.S. and even getting one is harder – One Today is currently an invite-only Android app. Learn about a different project from a nonprofit every day. 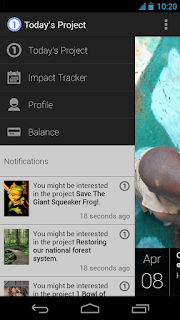 The more you engage with the app, the better we'll get at picking projects for you. First, choose the project you want to donate to. 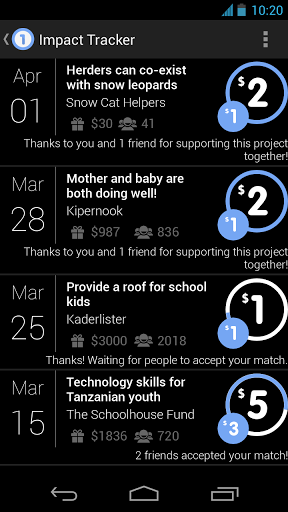 Second, amplify your impact by matching donations and sharing your favorite projects with your friends on social media. Finally, pay your balance. Donations are grouped together for easy payments through Google Wallet. Do good daily! Engage with hundreds of nonprofit projects each year and help contribute to their success. 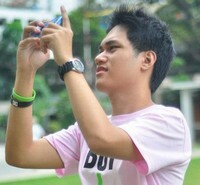 You see? If you really have a knack for helping others, you will be more informed about the world and how it is today because the app understands how you browse through it and shows you more organizations and their causes based on your own preferences. What’s even more exciting is that you can share what you did through your favorite social media website and invite others to join you on your journey in helping others. 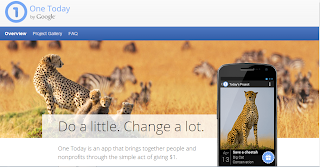 One Today, as its name implies, lets you donate (or pledge, if you like it that way) 1$ a day to an organization. If you would like to donate more to that project, you can always go back to the same project the next day and give another dollar for that matter. So how does the payment scheme work? Easy – since this is Google’s own branding, of course the app will use Google Wallet. I think this is also why Google tested the app first on its own homeland because users of Google Wallet come from the U.S., making payment methods convenient. Whenever you choose to donate to the organization you wish to help, the app will not automatically charge you. Rather, it will just keep count of how much per organization you have already given (the statement in #4 is explained here where it says that your donations will be grouped together). Afterwards, you can pay anytime using Google Wallet or just ask the app to send you an email notification reminding you about your balance to make you feel 100% sure that you paid the exact amount, if you will be paying online or through the bank directly. Since there will be different projects featured per day on One Today, deadlines for projects will also be set up so you have to pay your balance as soon as possible. If not, some features of the app will be inaccessible to you until you settle your balance. Now isn’t this a nice app, TP Friends? Anyone out there wanting to make an app like this, wherein we could pay through our local couriers or carriers (GCash, Smart Money, ML Kwarta Padala, etc.)? If you want to know more about this project, you can visit Google One Today Official Website anytime.